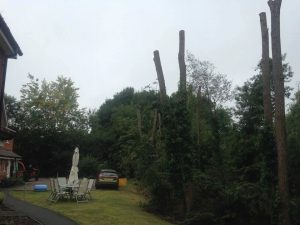 This is a job we undertook during the summer, only just found the photos and thought it would be good to share. 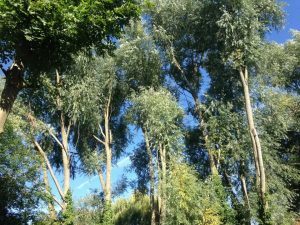 We were instructed by one of our housing contractors to carry out tree works at one of their sites as suggested in a recent tree report. 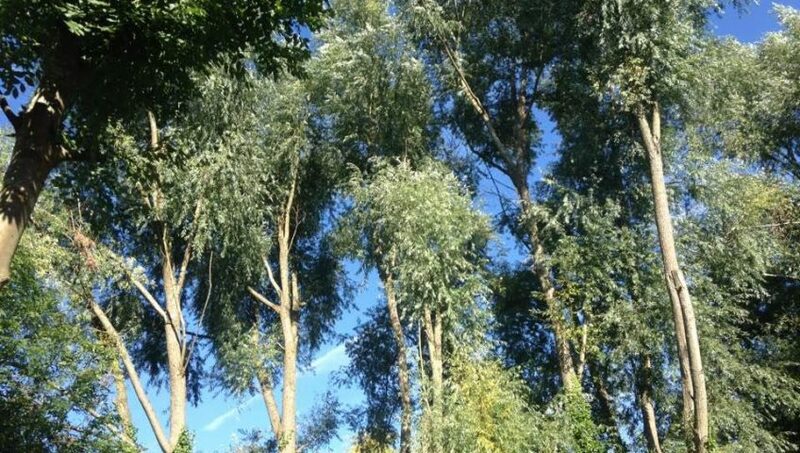 The trees we worked on are Crack willows (Salix fragilis) and are notorious for falling in high winds. 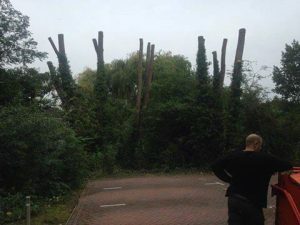 Due to the high targets in the vicinity it was deemed safe to reduce the trees by 50% in order to stabilise them. Looks harsh but they will continue to grow vigorously.